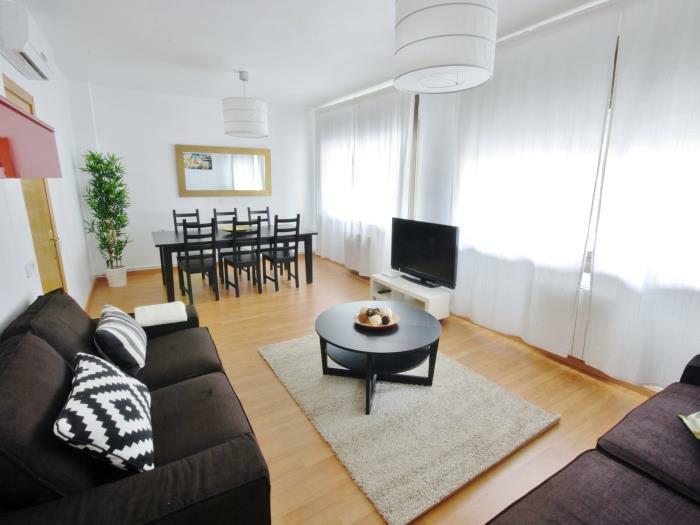 This renovated apartment is located in one of the main roads of the city, Carrer Aragó. 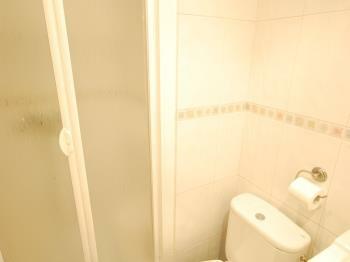 It`s sited very close to the center, around 15 minutes walking, and a few meters away from the metro Urgell (L1). Perfect location for moving around the city. 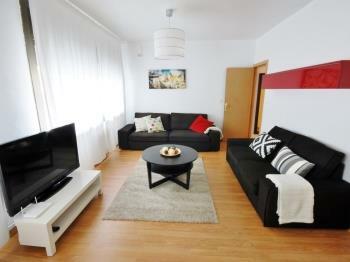 The apartment is disposed to make guests feel comfortable and not lack anything. 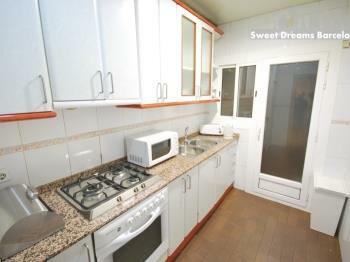 It has three bedrooms, with a double bed each. We have changed the layout of the bedrooms to make all them face the courtyard. This way the bedrooms are absolutely quiet at night. 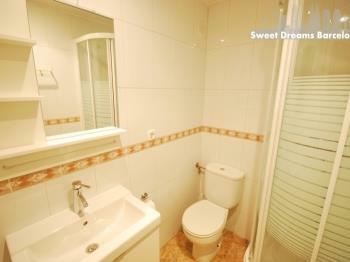 It has two bathrooms with shower. 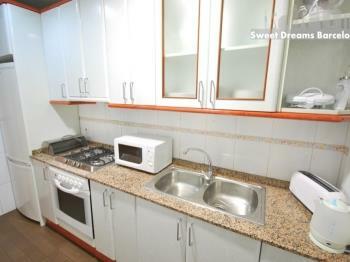 The kitchen is spacious and fully equipped with oven, microwave, toaster, kettle, washing machine, etc. 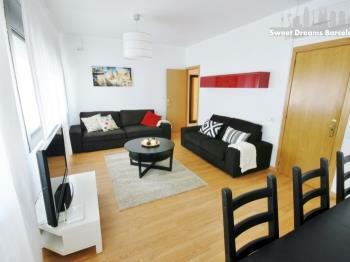 The living room is equipped with two large and comfortable sofas. 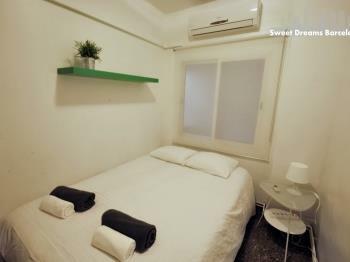 One of them, convertible into 140x200cm double bed. 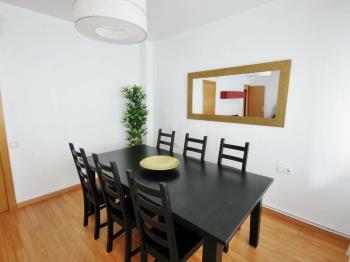 There`s also a large eight people table. Air conditioning and heating in all the rooms. 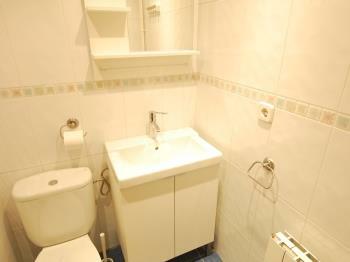 Equipped with bed linen and towels. The location is very quiet. 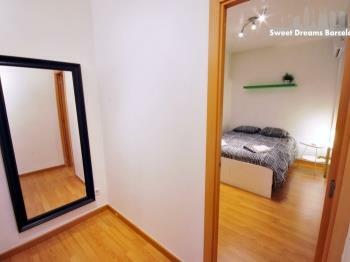 The Eixample district is a perfect area to accommodating families with children. Perfect location for moving around the city. 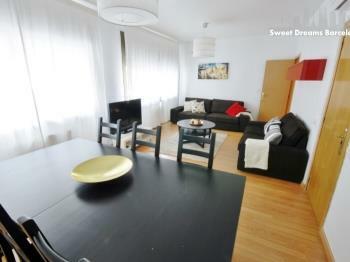 In the Eixample district next to the tourist emblems representative of Barcelona, ​​in the center and close business schools: SEA and EADA, Fira de Barcelona and Palau de Congresos, Barcelona Sants Station (AVE), Hospitals: Hospital Clínic Barcelona. ​​Museums: MNAC, Fundació Joan Miró, Egyptian Museum, Picasso Museum, the best streets of Barcelona with the best shops and the main modernist buildings and monuments Antonio Gaudi in Barcelona. The stop of the Aerobus (airport bus) is 300 meters from the apartments (in the Gran Via in Barcelona). Optimum location in the Eixample district, full of bars, restaurants, public transport and in a very friendly neighborhood. Enjoy visiting most of Barcelona by foot.